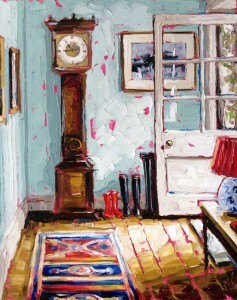 Join us in Kerry with Roisin O’Farrell, one of the finest artists working in Ireland today, and you can see her latest works in the breathtaking surroundings of County Kerry this Saturday and Sunday, July 5th and 6th. 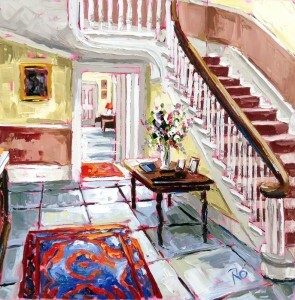 On July 5th, Roisin will be at the Park Hotel in Kenmare with 11 of her paintings based on the interiors of Ireland’s heritage Blue Book houses. Given that the Park Hotel is a Blue Book establishment, the setting could not be more perfect.Arrive between 5pm and 7pm to meet the artist in person, and enjoy the hospitality for which the Park is famous. Then, on Sunday, July 6th, make the short trip from Kenmare to Killarney and the world-renowned Aghadoe Heights Hotel, with its magnificent views of the lakes and mountains of Kerry. 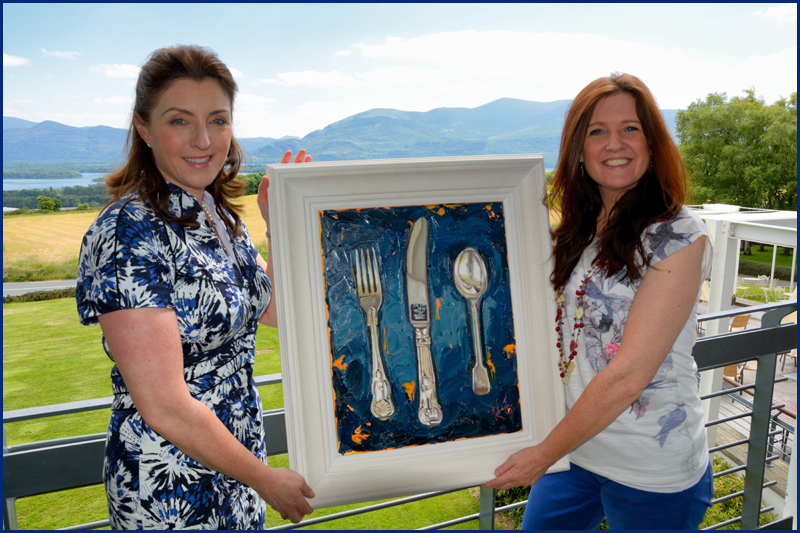 Here you can see about 20 of Roisin’s stunning oil creations and enjoy the hotel’s celebrated Sunday Buffet.Contact the Aghadoe Heights on (064) 6631766 to reserve a table.Can’t make it for either date? That’s a pity. All is not lost, however. 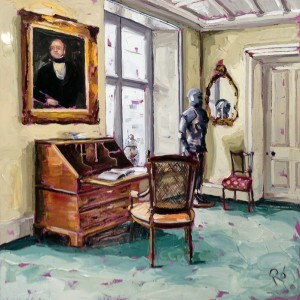 Roisin’s exhibitions will run for a while yet. Just contact Declan at Killarney Art Gallery 087 2767999 if you want any details.